At the heart of the FireFront system is a powerful tactical data display, that combines several streams of data into one real-time display. The FireFront System is based on our exclusive Intelipod. The low-cost pods have lightweight micro-sensors with Bluetooth/RF capabilities that provide critical datapoints including weather, velocity, vibration and HAZMAT presence. Only the FireFront System brings together this many deployment options to provide an unsurpassed level of tactical readiness. Managing so many streams of data in seconds demands a cohesive display of real-time, micro-environmental conditions that inform the IC. 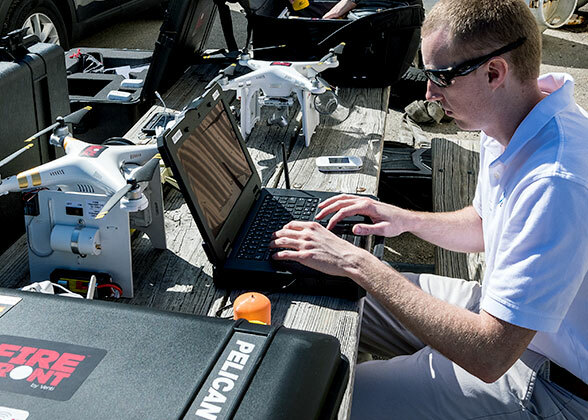 Inputs from Intelipods and the UAV combine real-time information with an integrated mapping display and allow ground teams to zoom in on areas of interest. With so much tactical information being captured so fast, your team needs a way to see the entire situation at a glance. While the the tactical data display pulls all the data points together, the ruggedized FireFront display makes it accessible, even in the worst field conditions—because information is pointless if you can’t access it. 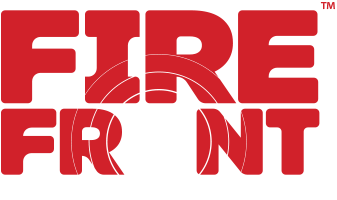 We are continually working to advance the capabilities of the FireFront system so that your team gets the clearest and most information-packed view possible. This video shows a simulation of what we are currently developing. 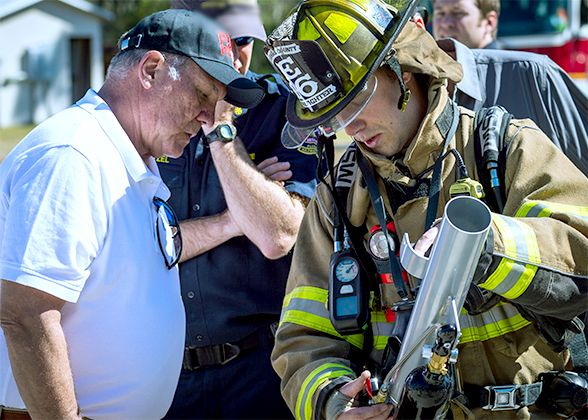 Contact us to learn more about our FireFront system and how it gives your team an advanced tactical advantage.